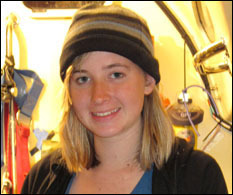 Abby Sunderland, the teen sailor whose ship became stranded in the Indian Ocean during a round-the-world sailing attempt, will be on the panel. She was located and rescued via satellite technology. WHAT: "Search and Rescue, War Reporting, Hurricane Tracking and Rock and Roll in the Satellite Age" – the 2010 Charles and Helen White Symposium on Engineering Innovation at the A. James Clark School of Engineering. DJ "Cousin Brucie" (Bruce Morrow): This legendary rock and roll DJ and Radio Hall of Famer, uses satellite technology to bring rock and roll music to audiences across the country.